Reliable Steam Cleaners Kill Bed Bugs! Steam treatment is a recommended method for eliminating Bed Bugs. In fact, steam kills all stages of bed bugs without the use of chemicals. Sleeping on a surface that has been soaked in chemicals is not only unpleasant smelling but poses potential health hazards. Successful treatment depends on an Integrated Pest Management approach to bed bug control. This involves steaming and vacuuming, laundering belongings, and sealing areas and gaps where bed bugs can hide. It's no secret that bed bug infestations are on the rise. What may come as a surprise is that high temperature steam will kill bed bugs at all stages of growth. There are numerous treatment options available, however many are complex, sometimes expensive and often use harsh chemicals. Using a steam cleaner to do the job is something that Entomologists specializing in bed bugs recognize as part of an effective treatment plan. Pest Management professionals may also use steam as part of their repertoire, particularly those that prefer to use a more healthy friendly approach. 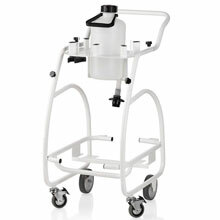 There are many types of steam cleaners on the market. Look for those with a stainless steel tank in a canister-type model like those from Reliable Corporation. Today's steam cleaners offer a chemical-free solution for bed bugs and a myriad of everyday household cleaning tasks. It is essential that the machine produces a dry 'vapor' steam at a minimum temperature of 120°F or 36°C to be effective in killing bed bugs and properly sanitizing all home surfaces. 1. Remove clutter from the house giving bed bugs fewer places to hide. 2. Wash and dry clothing and all bedding at the highest temperature and store in plastic bags. 3. Use the attachment for your steam cleaner that has a clip to attach a cloth pad or cover (a good machine will come with such attachments and a few cloth/pads). 4. Begin to steam clean all the surfaces of the room from top to bottom (include curtains, chairs, and finishing with the bed, floor and baseboards. 5. The bed is critical in the process. Be sure to slowly go over every square inch. From the bottom of the posts/frame, to the underside of the box spring. Leave no surface of the bed untouched. 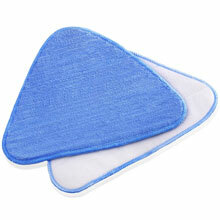 The accessories that come with a good steam cleaner should include a high-pressure nozzle. This will assist with getting into the crevices of the bed frame and binding as well as places like base boards. 6. Let everything air dry thoroughly to avoid mold before putting bedding and clothing back in their appropriate places. Wrapping the box spring in heavy plastic sheeting and purchasing a bed bug specific mattress cover can be useful. 7. Continue to check regularly for signs of bed bugs.